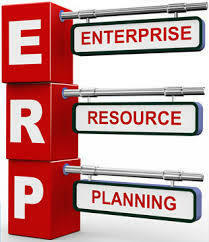 We are the leading organization in the industry to provide our clients the best quality ERP Solution. We “Kintechno Informatics Pvt. Ltd.” are engaged in trading highly reliable range of CCTV Camera, Desktop Server and Computer Hardware. Located at Noida (Uttar Pradesh, India), we are backed by reliable vendors of the market. We offer these products at pocket friendly rates to our clients and deliver these within the promised time-frame. We also impart CCTV Camera Installation Service, Network Security Service, Firewall Security Service, etc. Under the leadership of, “Mr. Navin Kumar” (Director), we have gained huge clientèle all across the nation.